If you need professional, personalized services in order to establish commercial links with Polish companies involved in footwear, tanning, leather, and allied sectors/industries, you have found the right site. I have built a strong, healthy organization that can fill many existing needs. 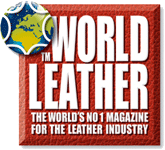 While I primarily focus on the leather industry, I have such broad knowledge of my country's business culture that I do not totally limit myself to the leather industry. Many business people confidently use my services for their particular industries. I worked for many years for Skorimpex Foreign Trade Company of the footwear and leather Industry in Lodz, at that time the biggest organization in Poland, in the footwear and leather sectors. I also worked over 5 years in England as a manager at the Import-Export Company Skorimpex Rind Ltd. I was employed as commercial director at Chemiskór S.A., the first Polish company in the leather sector to be listed on the Warsaw Stock Exchange, until its later takeover. Why are my service unique? Broad and detailed knowledge of the Polish footwear, leather, tanning and co-operating industries: I know the majority of key people personally. Wide international experience in administration, marketing, manufacturing, import/export, international finance, communication, and journalism. Personal yet professional care and an individual approach to every single customer. A passionate commitment to render the best possible services. A track record of reliability. How much do my service cost? You are welcome to contact me for a free, friendly discussion and initial advice. I shall be only too pleased to help you. Please provide as much information as possible and together we shall explore the possibilities of doing business. As my services are unique, there is no ready-made price list for services rendered. The rates are sensibly calculated and will be agreed upon with each customer individually, depending on the degree and particular type of work to be done. The fundamental idea of my business is to provide personal, individual assistance which means that I look after every customer personally. Because I am a one-man organization, I cannot help everybody (but at least I shall try). In the unlikely event that I cannot assist someone individually, one of my trusted partners will do so (on my behalf). If you should need me for your business only, I shall be pleased to consider that. Under such circumstances, we shall need an exclusivity agreement, and - if you wish - I will not enter into any similar activities with other foreign customers. I render commercial and marketing services for this excellent tannery. This is my trusted business partner, which operates mainly in the Scandinavian market. 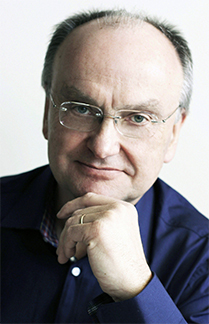 © 2000 – 2016 TCH Services Tomasz Cherczynski. All rights reserved.